It’s official, even President Trump has called the opioid epidemic a “national health emergency.” The numbers really are staggering, too! 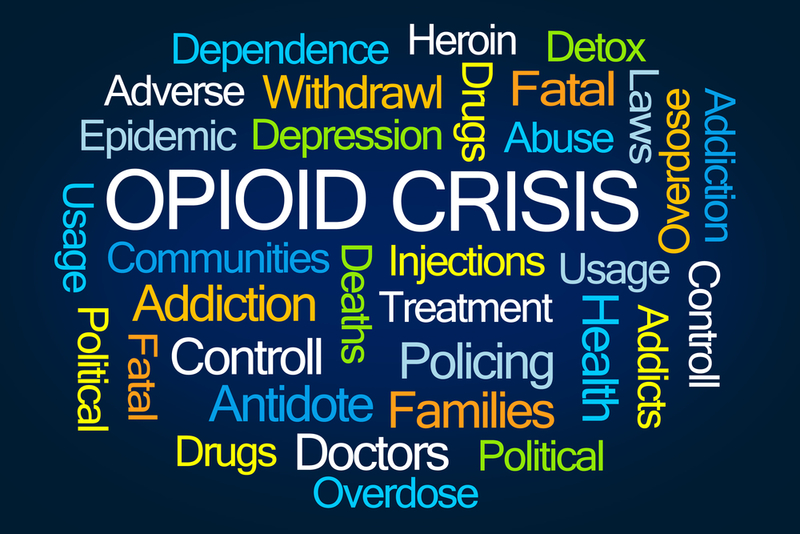 In 2015, more than 33,000 people were killed by opioids, such as prescription opioids, heroin, and fentanyl, according to the Centers for Disease Control and Prevention (CDC). One estimate even has the death toll at 100 people a day, and drug overdoses are now the number one cause of unintentional death in the U.S. In this blog, we’ve put together an informative list of the most important things to know surrounding the opioid epidemic in the U.S. The vast majority of drug overdoses – more than six out of ten – involve opioids, according to one CDC statistic. In 2016, opioid overdoses claimed the lives of more than 64,000 Americans. By comparison, the number of opioid-related deaths has surpassed the number of those who have died at the peak of the HIV/AIDs crisis of 1995. Typically, middle-aged men have higher death rates than women, but that trend has shifted. As we have seen from 1997 to 2010, female deaths have skyrocketed by 400 percent. The cost of caring for American with opioid addictions costs a staggering $79 billion, according to a study published in the Medical Care journal. The opioid market rakes in $10 billion in sales annually in the U.S. Annually, AstraZeneca brings in $4 billion, Perdue Pharma (who makes OxyContin) pulls down about $3 billion, Insys Therapeutics (makes of Fentanyl) makes roughly $2.1 billion. Pharmaceutical companies seeking to form legislation more favorable to their ends, spent close to $2.5 billion in lobbying and in donations to the campaigns of Congress members over the past decade. S. companies lose $10 billion annually to lost productivity and worker absenteeism, due to opioid addiction. Employee health care costs for those with drug addictions has doubled. The costs of drug addiction affects us all, not just those afflicted with the addiction. For instance, it hits us in taxes on government spending, education costs, as well as job opportunities. Big pharma companies pay millions in promotional and marketing activities that make false claims that patently deny any risks of opioids, while trying to put a spotlight on the “pain relief” benefits of their drugs. As the job market rebounds, we see unemployment declining, but why at the same time does it seem like there are so few people looking for work. Well, according to one report there are fewer working-age men in the workforce, because a lot of them are addicted to opioids.1 According to the U.S. Bureau of Labor Statistics, the number of folks looking for jobs or actively looking for work has declined since 2008 by 63 percent over the last four years. Some even believe the low numbers of those looking for work may be because they are afraid they won’t pass a drug test. Have you been charged with a drug crime, whether it was merely possession, transport, distribution, or trafficking, call the Westminster Criminal Defense Attorney at Griffin Law Firm right away to begin building the strongest defense case possible. Our firm has a long history of successfully defending those charged with drug crimes, including possession, distribution, sales, drug trafficking, Federal drug charges, felony drug charges, and misdemeanor drug charges. To schedule a free, no obligation consultation, call the Westminster criminal defense attorney at (303) 963-9297 or email him using the contact form on this page. 1“Goldman Sachs Thinks the Opioid Crisis Is So Bad It’s Affecting the Economy” published in CNBC, July 2017.